STOCKHOLM (Reuters) - Chinese-owned Volvo Cars reported a fall in 2018 profit margins as a prolonged trade war between Washington and Beijing pushed up costs and resulted in pricing pressure in its main market China. The Swedish carmaker, owned by China's Geely, will increase volumes and cut operational costs to try to offset the impact on margins that is expected to persist this year, CEO Hakan Samuelsson told Reuters. "We have a very, very strong product offering and a modest market share outside Sweden, so we are expecting and planning for further growth," Samuelsson said. "I would say we enter now into a phase where we have to focus more on the cost side as well - not with any special packages, but with normal work to improve our cost consciousness and cost control." In 2018, the Chinese premium car sales segment held up better than the broader market which contracted amid fallout from the trade war. Carmakers including Tesla cut prices in response, denting earnings. Under Geely's aegis, Volvo has steadily pushed into premium cars where it competes against Daimler's Mercedes-Benz and BMW, helping it hit its fifth straight year of record sales in 2018. The company's 2018 operating profit increased by 0.9 percent to 14.2 billion Swedish crowns (£1.16 billion), but its margin fell to 5.6 percent from a year-ago 6.7 percent, it said on Thursday. Germany's Daimler this week reported rising costs and falling sales for Mercedes-Benz in the fourth quarter. 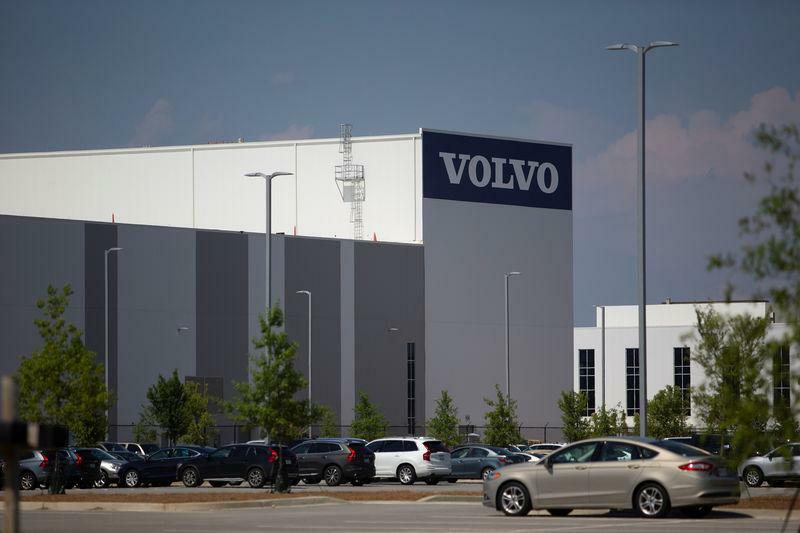 The trade war caused Volvo to postpone plans for a listing last year and generated additional costs to retool its factories to limit the tariff impact. Samuelsson said if the United States followed through on its threat to slap tariffs on European cars, that would result in a "very severe" impact for Volvo and the broader European auto industry that would be difficult to offset. U.S. President Donald Trump has threatened to impose tariffs on cars from around the world, as he did with aluminium and steel last March, but European Commission President Jean-Claude Juncker negotiated a "ceasefire agreement" last July. Talks aimed at finding common ground to avoid tariffs have been under way ever since.